Performance Showcase on August 24th starting at 4:00 pm. Ms. Miller received her formal dance training from the Central Pennsylvania Youth Ballet under the tutorage of Marcia Dale Weary. Ms. Miller continued her studies at Joffrey Ballet and with the San Francisco Ballet. Ms. Miller danced for the Milwaukee Ballet Company, rising through the ranks to the level of Principal Artist. She has had the privilege of dancing a wide range of roles in such ballets as, Swan Lake, Nutcracker, Romeo and Juliet, Hunchback of Notre Dame, Scherazade, Giselle, Coppelia, Midsummer Night's Dream, Sleeping Beauty; and works by Trey McIntyre, Choo San Goh, David Parsons, George Balanchine, Gerald Arpino, Peter Anastos, Antony Tudor, Lila York, Margot Sappington, Alvin Ailey and Michael Pink. In the summer of 2005, Ms. Miller was invited to dance for inagural season of the Trey McIntyre Project, performing in such places as Vail International Dance Festival and Jacob's Pillow Dance Festival. Ms. Miller is currently on faculty at the Milwaukee Ballet School, Danceworks in Milwaukee, Dance Arts Center in Racine, and Steps of Grace in Brookfield. For the past 20 summers, Ms Miller has had the honor to be invited back to teach at Central Pennsylvania Youth Ballet; she also teaches for Point Park University's International Summer Dance and Valley Academy for the Arts. Ms. Miller is also an established private coach, working with pre-professional dancers of all ages and levels including Youth America Grand Prix performers, ballroom dancers, gymnasts and irish step dancers. 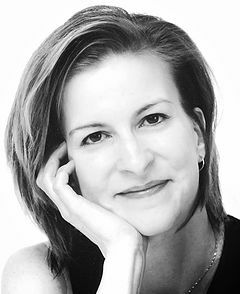 As a choreographer, Ms. Miller has created works for Milwaukee Ballet, Milwaukee Ballet II, Central PA Youth Ballet, Point Park University's International Summer Dance, Dance Arts Center and Erie Dance Conservatory. She received the Monticello award for emerging choreographers. Raised in Duluth, Minnesota, Mr. von Rabenau received his early dance training at the Duluth Ballet. He continued his training at Minnesota Dance Theatre, the Boston Ballet School, and the San Francisco Ballet School. Mr. von Rabenau danced for ten seasons as a soloist for the Milwaukee Ballet. During his tenure with MBC he danced such roles as Iago in Jose Limon’s The Moor’s Pavane, and The Blue Bird Pas de Deux from Sleeping Beauty. Mr. von Rabenau has also performed the lead roles in Choo San Goh’s In The Glow of the Night and Unknown Territory as well as George Balanchine’s Rubies, The Four Temperaments, Tchaikovsky Pas Deux, Serenade, and Allegro Brilliante. While with Milwaukee Ballet, Mr. von Rabenau also had the opportunity to dance in works by Petipa, Eugene Loring, David Parsons, Jean–Paul Comelin, and Lisa de Ribere. Prior to dancing with MBC, Mr. von Rabenau danced for five seasons with the Pittsburgh Ballet Theatre. While with PBT, he toured to Taipei, Taiwan, and fulfilled the dream to dance Balanchine’s Tarantella Pas De Deux. He also performed the role of Lucentio in John Cranko’s The Taming of the Shrew. Other highlights of his time spent with PBT include dancing many works by George Balanchine including the 3rd Movement from Western Symphony, Benvolio in Bruce Wells’ Romeo and Juliet, as well as Agnes De Milles, Fall River Legend, and Falls in Alvin Ailey’s The River. As a choreographer, Mr. von Rabenau has created numerous works for Point Park University’s International Summer Dance Program. He has had works performed in the Regional Dance of America Festivals in both the Northeast Region by CPYB and Lake Erie Ballet School, and Southeast Region by Classical Ballet of Memphis. In 2002, Mr. von Rabenau was invited to choreograph a pas de deux, Speranza for a Milwaukee Ballet presentation at the Milwaukee Art Museum.